Are you a high school student? 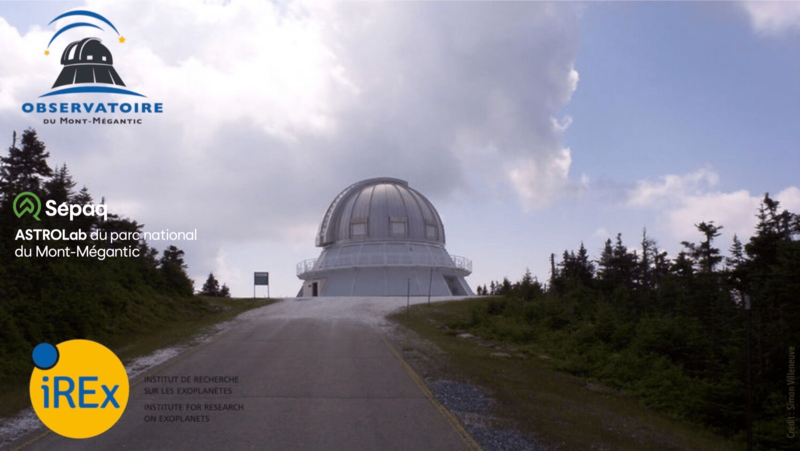 The Observatoire du Mont-Mégantic, the Institute for Research on Exoplanets and the ASTROLab invite you to spend a night at the Observatoire du Mont-Mégantic’s telescope with astronomers who will introduce you to their fascinating job. The observatory, located in the Eastern Townships, includes a 1.6-meter telescope performing high-level scientific research and training of world-class astronomers. The observing night will take place sometime in the summer of 2019 (July 5, July 6 July 12, July 13, July 19, August 23 or August 24). Astronomers work at night when it’s dark! If you are selected, an adult will have to accompany you to the observatory. You will visit the telescope, observe the work of astronomers and actively participate in the observation during the night. To participate, simply complete the online form below. You will need to tell us in a few lines why you are interested in science and why you would like to do participate in this activity. To be eligible to the contest, you must be a resident of Quebec and be in high school during the 2019-2020 school year. Two (2) winners will be chosen at random amongst the received completed applications: one winner will be selected from the group of Secondary 1, 2 and 3 students and one winner will be selected from the group of Secondary 4 and 5 students. An adult must accompany you during the night of observation. The night of observation will take place at the Observatoire du Mont-Mégantic telescope, located at 189 Route du Parc, Notre-Dame-des-Bois, QC J0B 2E0. Dinner, snacks, and breakfast are included. You will have a room at the Astronomers’ Residence where you will be able to rest after your night of observing. Contest entries will be accepted from 5PM on February 5th until 11PM on June 14th. The winners will be notified via email on June 19th 2019. To participate, complete the online form by June 14 2019, 11PM. Talk about the contest to your friends! Hang the poster at your school!